Two more recent 70s, modern soul-style discoveries which were issued last year on the "Hotlanta Soul 4" Kent CD. 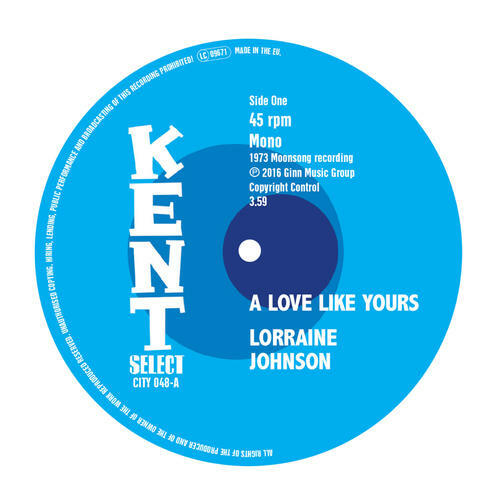 Lorraine Johnson verified the sumptuous vocals on 'A Love Like Yours' were indeed hers, although again the author of the song is unknown. Deep Velvet give a much more harmonious take on Ripple's 'Complain To The Clouds', transforming it from a funk growl into a true soul song.